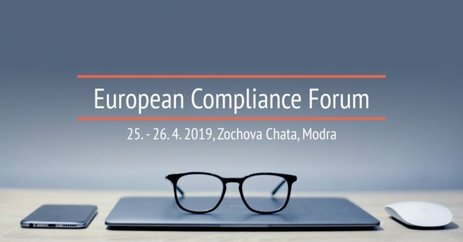 At the end of April this year, we will see the continuation of the successful conference - European Compliance Forum – which the organizers themselves say will get “to the heart of the matter”. This year´s conference will focus on the effectiveness of compliance programs with a focus on the processes of the prevention of individual human failure. The program will be divided into three thematic blocks. The first will address compliance in the ethical and theoretical context. The second will offer a practical view at experience from “real business”. The third block will focus on forensic compliance, which means exploring the motivation for failures of staff as well as top managers, corporate fraud investigations, forensic interviewing techniques, and cyber threats. Cliff Lansley, Director of Paul Ekman International Plc., Behavioural Consultant, Adviser to BBC, secret services and security forces of several countries. The conference, which will take place under the auspices of the Ministry of Justice of the Slovak Republic, is being organized by RUŽIČKA AND PARTNERS and Deloitte.